Swedish Bitters are available in tincture form. Swedish Bitter Herbs, sometimes referred to as Swedish Bitters, are a unique combination of herbs that are used as an herbal remedy for a variety of different ailments. Swedish Bitter Herbs come in liquid form and can be used both internally and externally for digestion, burns, pain, sleeplessness and 42 other common conditions. Although Swedish Bitter Herbs have been used safely for over 500 years in Europe, there are no scientific studies to back up the claims that the liquid can cure illness. Despite this lack of scientific evidence, anecdotal evidence shows that Swedish Bitters can be very helpful for certain ailments. As the name implies, Swedish Bitter Herbs were first produced in Sweden but they have a very rich history. The mixture was first developed in the mid 1500s by Dr. Phillipus Paracelsus, a Swiss physicist. The recipe was somewhat lost throughout the next few centuries, until Dr. Claus Samst got the formula from an older relative and began making the tincture in the 18th century. Dr. Samst began making the formula and wrote a manuscript detailing the different ailments that were cured using the liquid. The real champion for Swedish Bitters, however, was Austrian herbalist Maria Treben who popularized the remedy during her work in the early 20th century. In her book Health Through God's Pharmacy, she explains that a friend suggested the remedy to Treben for her recurring body pains. Although at first skeptical, Treben tried out the bitters in a compress and felt instant relief. After her personal experience, Treben made it her mission to spread the word about Swedish Bitters. Today there are several commercially made Swedish Bitters products that carry her name. Swedish Bitters are made from several different herbal ingredients. You can buy the tincture in liquid form or you can purchase the herbs to make your own tincture. Aloe - Aloe has laxative effects. It is helpful for burns, wounds and bites. Aloe supports the female reproductive system and it can also expel worms from the body. Myrrh - Myrrh helps the body produce more white blood cells. It has an anti-microbial effect so it's good for treating mouth ulcers, boils, wounds, sinus problems and respiratory problems. Myrrh is also helpful for glandular fever and common colds. Saffron- Saffron relives gas in the digestive system and helps to stimulate the appetite. It can also be used as a sedative. Senna Leaf - Senna is a mild laxative. Camphor - Camphor calms the nerves and stimulates the respiratory system. Rhubarb Root - Rhubarb Root is a mild laxative that also cleanses the digestive tract. Zedoary - Zedoary helps calm gas in the digestive system. Manna - Manna is a mild laxative. Theriac Venezian - This is an antidote for poisonous bites. Carline Thistle Root - This root is a diuretic, tonic and antibiotic. Angelica Root - This root is used to treat coughs, colds, fevers and inflammations. Swedish bitters can be used for a variety of different ailments. There are 42 health problems and diseases that are covered in Dr. Samst's original manuscript. 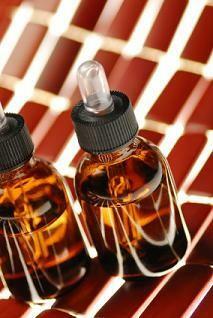 Each of them has a specific application of the tincture. For general external use (to calm eczema and remove acne scars), you can dab the tincture directly on the affected area. You should wait until the liquid dries in order to avoid staining clothes. You can also apply it as a compress by soaking cotton or another fiber in the tincture and hold it over the affected area. For internal doses, there are many different formulations in the old manuscript. For gentle healing, take one tablespoon diluted in water in the morning and evening. You can take up to three tablespoons diluted in water twice a day. Make sure to read the instructions on the label before you take Swedish Bitters.